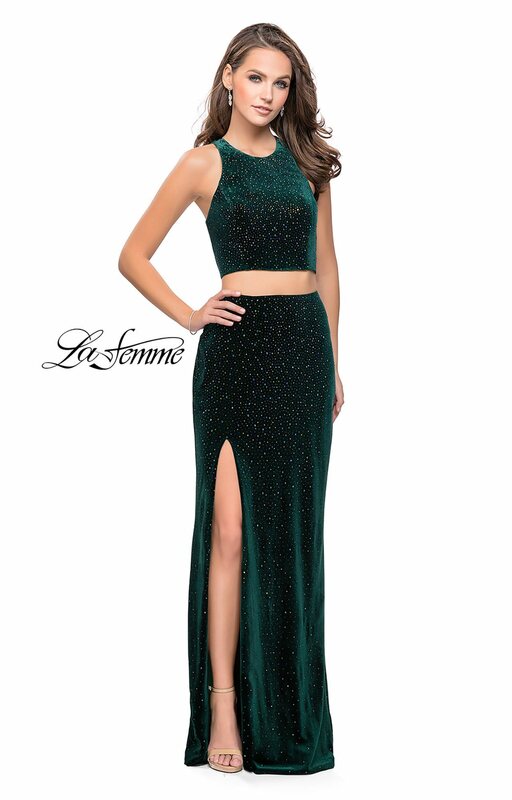 Dazzle the crowd in La Femme 25464! This eye-catching two piece dress features a soft velvet material that is dappled in shimmering tonal rhinestones. The crop top has a high neckline and a strappy open back while the fitted skirt is complete with a thigh high slit that allows you to show off a little leg.